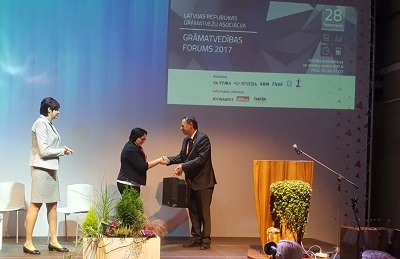 28 September 2017, Leinonen Latvia participated in the 7th annual conference Accounting Forum 2017 organised by the Association of Accountants of the Republic of Latvia (AARA). The conference gathers various organizations, companies, accountants, financial managers, chief executives and state representatives. The main topics of forum concerned the future of accounting development, technologies, education and other useful information for accountants and accounting outsourcing service providers. 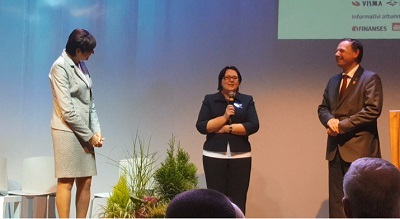 Leinonen Latvia was honoured to be chosen as industry leader in terms of a number of employees, turnover, profit taxes paid into the state budget during 2016. The prize for the industry leader was awarded by the AARA for the first time.